Upon arrival in Bhubaneswar, you are greeted by our representative and check-in to your hotel room. 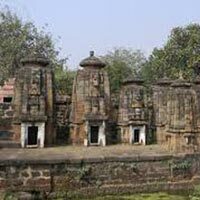 After refreshing, you leave for sightseeing to Lingaraja Temple, Bindu Sagar, Ananra Basudev, Raja Rani Temple, Bhubaneswar State Museum, Khandagiri, Nanadakhana Sanctuary and Udaygiri Cave. By late evening, you come back to the hotel and stay overnight. After refreshing breakfast, you leave for Puri. During this journey you come across famous spots like Dhauligiri Buddha Temple, Konark Temple, Chandrabagha Beach and many or others. Spending time on these exotic locations will be an experience worth cherishing. By late evening, you retire in a hotel room in Puri and stay overnight. Following your breakfast is a trip to Lake Satpada, renowned for Irawady Dolphins. After spending leisure time boating in this effervescent lake, you come back to hotel room and stay overnight. In the morning, you check out from the room and leave for Bhubaneshwar. While on your way, you stopover at the famous Lord Jagannath Temple for darshan. Another halt takes place in Pipli market, popular for its Handmade Applique Work. 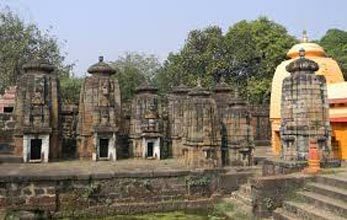 You reach Bhubaneshwar by afternoon, and in the evening you go for boating in Nicco Park and visit Ram Mandir. After all this, you come back to the hotel for an overnight stay. The last day of the journey starts with a palatable breakfast and ends with you boarding a train/ plane for your onward journey.